Nate DeLong was a four-time letter winner in both basketball and football at the University of Wisconsin at River Falls. During the 1947-48 season, he scored 72 points in a game against Winona State. He led the nation in scoring with 861 points on the basketball court in 1950. DeLong helped the Falcons to four straight conference basketball championships and three Wisconsin collegiate championships. He also played in three NAIA championship tournaments and held the single game scoring record of 57 points for 27 years. DeLong finished his college career with 2,592 points, a 25.4 average, making him college basketball’s all-time leading scorer at the time. 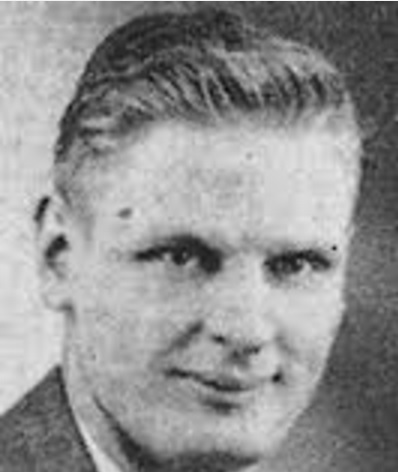 In 1950, DeLong signed to play professional basketball with the Sheboygan Redskins of the National Professional Basketball League.He played in 45 games and averaged 10.3 points. Nathan John DeLong Jr. Born: Jan 5, 1926 Died: May 5, 2010 Hometown: Chippewa Falls, Wi.